Collaborative divorce has been around for over 20 years now, but it’s still a new concept for many people. 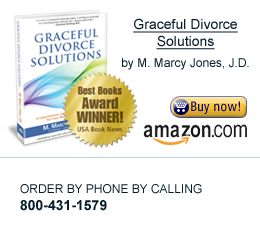 In the simplest terms, collaborative divorce is a way of divorcing without going to court. Clients sign a contract at the beginning of the case agreeing they will not go to court and that they will settle all issues related to their divorce in a series of face-to-face meetings with their collaborative lawyers or teams. The clients agree they will participate openly and honestly in the process. This means they will talk about their interests, needs, and goals, and they will freely disclose any information they have in their possession or anything specifically requested by their spouse. There is no hiding of assets. We call this is a “transparent” process. Everything is out in the open and on the table. The real beauty of collaboration is that it promotes mutual respect and trust and provides the opportunity for the best relationship possible after the divorce. Couples learn to listen to each other and communicate more effectively with the help of their team. This means that going forward, even though divorced, this family can function more effectively and the children will not suffer the usual fallout from a traditional litigated divorce. My experience as a collaborative lawyer is that people who choose this process are looking for a fair and peaceful resolution, they want to protect their children as much as possible, and they don’t want to hate each other when it’s over. Of course, they are sad about divorcing, but they see the value in maintaining a relationship with their spouse in order to be able to work together to co-parent their children in the future. They also see the value in staying out of the courtroom at all costs. Why is it so important to stay clear of the courtroom? Suffice it to say that going to court about anything is just like rolling the dice in Vegas. On any given day, you can win or lose. It depends on so many factors, including the judge’s mood that day, that it’s absolutely impossible for any lawyer anywhere to predict the outcome. There just isn’t the satisfaction in going to court that many people expect. It’s a myth that needs to be debunked. The legal system is simply not set up to solve the complicated emotional issues involved in divorce. The collaborative process is. As a general rule, a collaborative divorce takes less time, costs less money, and is less stressful than a conventional divorce. And while divorce is never easy, this process allows people to go through their divorce with integrity, dignity, and grace. It’s a brilliant concept for a difficult and complicated life transition, and it works.